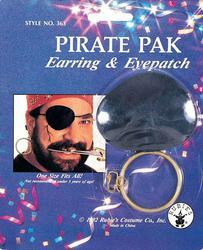 Fancy joining Jack Sparrow's crew from the Pirates of the Caribbean film series? 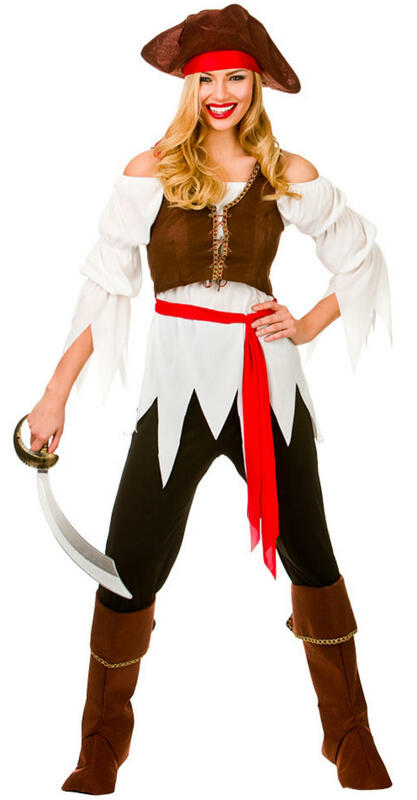 Then dress up like Keira Knightley's character as a lady turned pirate in this women's Pirate Shipmate costume. To achieve the classic look of a pirate, you will require this outfit, which includes the following: off shoulder white top, suede like brown waistcoat, trousers, belt, boot covers, and the essential pirates hat. Raid the next Pirate themed fancy dress party as Elizabeth Swann seeking to find her love, Will Turner.